I hope this finds you coming down from a wonderful weekend. Mine was relaxing and fulfilling – and as always, just a little too short. It was also a study in contrasts: yesterday, BF and I did nothing but laze about all day, and today, we had Sunday School, blood drives, lunch out, grocery shopping, and oodles of chores. 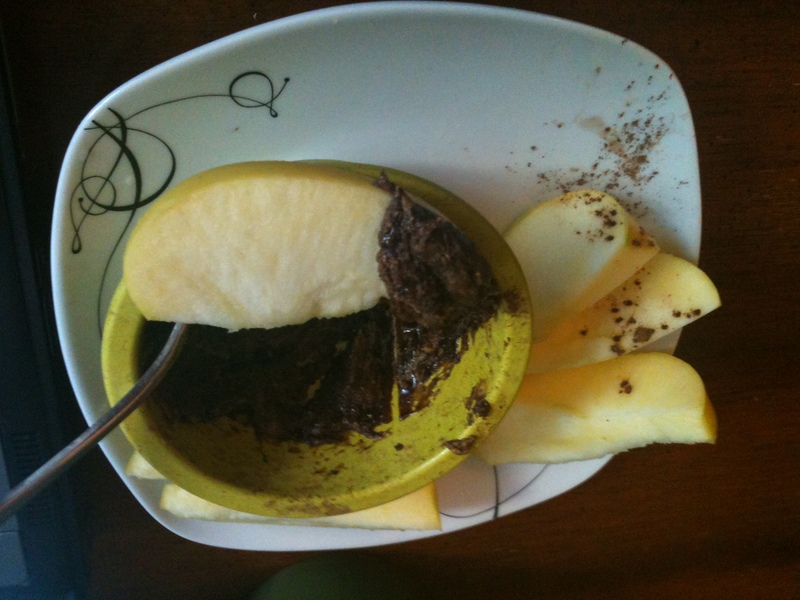 Combine all ingredients into a small bowl, adjusting to your taste. If it seems too dry, add more honey or peanut butter as preferred. 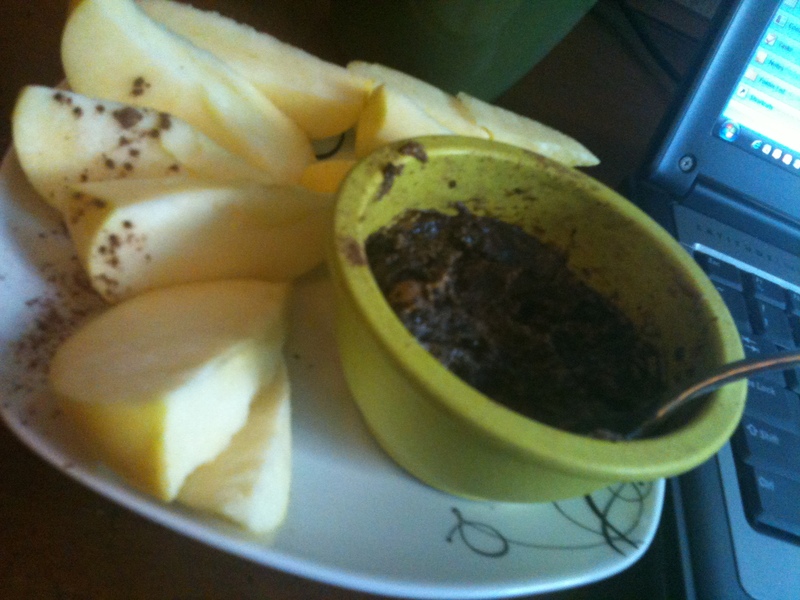 So simple, yet yummy and completely addictive. I ate mine with apples, but you could use whatever dipper you like: pretzels, sweet crackers, nilla wafers, bananas, etc. So now you know what the “snackalicious” part of the post is, what about the ketchup conundrum? I was so happy when I found this – no high fructose corn syrup (HFCS), which is under scrutiny for some possible health concerns. You can read a well-balanced overview of the HFCS debate from the Mayo Clinic. While I completely understand that there are no concrete conclusions on the sugary substance, I also believe that there’s no need for me to ingest this in everything, and where I can avoid it at a reasonable cost, I’m all for it. BF and I are usually devoted Heinz followers for many reasons: it’s good, it’s kosher certified, and it’s something we’ve both had in our homes since childhood. Really, for a lot of people, Heinz IS ketchup. 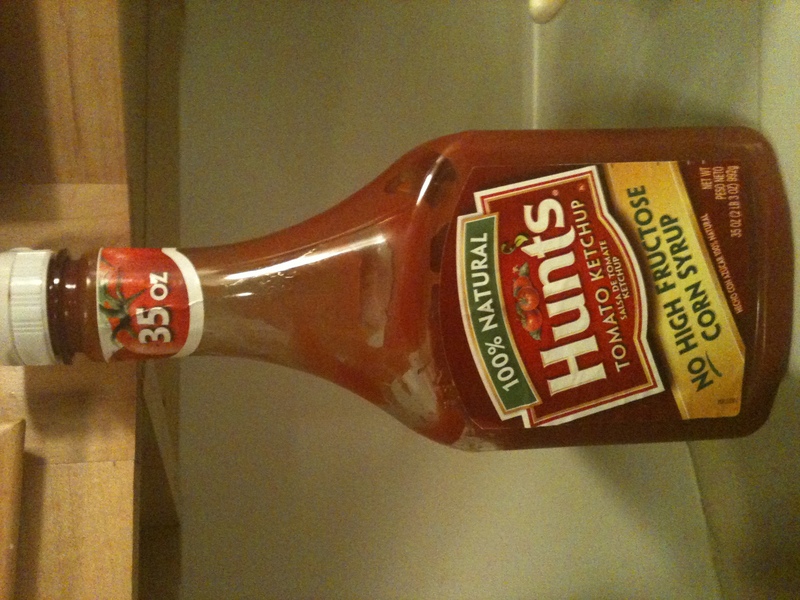 But Heinz does contain HFCS. So when I saw the alternative, I figured, why not? It’s a minor change, sure, but one that I feel good about. Here’s my conundrum: along with being made by ConAgra foods, which has a dubious track record and will most certainly not be winning “most ethical food company of the year” awards, our new ketchup is not kosher certified. It’s interesting for me to care, as I am fully aware of all the issues and controversies surrounding kosher certifications and labeling and how kosher by no means always signifies ethical. I’ve never been one to rely on a certification solely to prove to me the food is acceptable for my consumption, as deemed by G-d ,a nutritionist, or whomever. Sometimes they do help inform (like USDA Organic), but ultimately, there are so many variables at play, you really need to research, think, and use a little common sense to see through all the smoke and mirrors. While we will be finishing the bottle (I can’t stomach wasting food), I’m putting in some significant thought as far as what to purchase once this one’s run out. I know, I know – it’s just ketchup! But it goes into my body, my body which will one day, G-d willing, make another body, so I care. I actually think it’s sillier that I have to weigh all of these issues than the fact I’m thinking about it as much as I am. Your turn: Any thoughts? Are there any foods that you obsess think about as far as ingredients, additives, or certifications? I know my Mom is always really big about buying organic meat – she says it always tastes better, doesn’t dry out, and makes a better cooking experience overall. I’ve never seen this ketchup before, but then again I live in Canada and everything comes here 2 years later (or never). 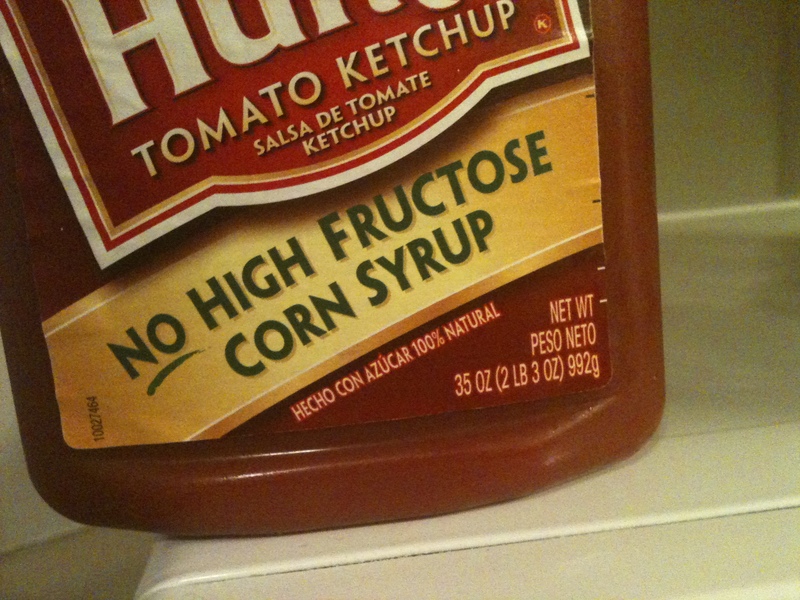 I trie to avoid high fructose corn syrup – A) it’s extremely processed and B) it’s often made from GMO corn. I’m a very big label reader and try to buy organic as often as possible. I’ve recently switched over to organic milk. It’s insanely expensive, but it actually tastes better and of course the cows are getting a better diet. I hope more people start buying so the price goes down! Great point about the GMO corn, Rachelle! Completely slipped my mind. Question – does Canada require labeling of products that contain GMOs? I know there are a number of places (notably in Europe) trying to get this kind of legislation through, while agribusinesses in the US keep shooting down measures to do so time and time again. No idea though what the Canadian perspective is! As far as I know, labeling products as containting GMOs is voluntary in Canada. Of the pages on the government website explaining labeling guidelines won’t open. Figures.